Lately i’ve been trying out a bunch of facial oils. My top favorites so far have been rosehip oil and marula oil. 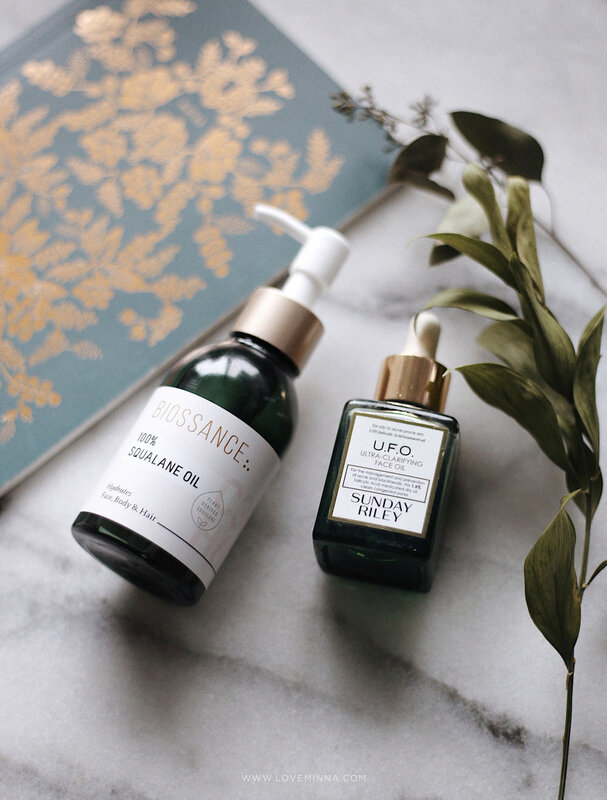 I alternate with Sunday Riley's UFO oil which has been helping with my pesky combination skin. I recently discovered squalane oil which is derived from sugarcane! It’s supposed to be super hydrating. The one i'm using now is from Biossance. Before I was really scared of putting oils on my face, but after introducing oils to my skincare routine my skin has become more balanced and to my surprise, less oily! ✨ Do you use oils regularly in your skincare routine? If so, which one?